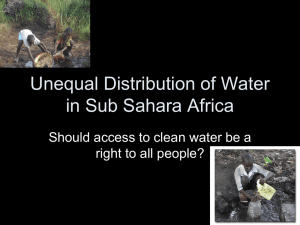 health, one's life, and the lives of others. air will sober him or her up. to sober a person up. 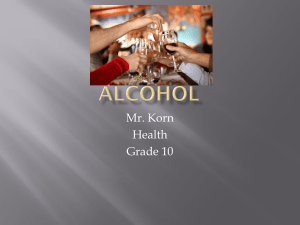 the type of alcohol found in alcoholic beveragesis a powerful drug. 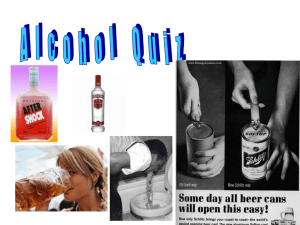 liquors – such as whiskey, rye, gin and vodka. a state of intoxication sets in. consumption among adults has declined.  Yet, its use among teens has risen. health of drinkers and those around them. 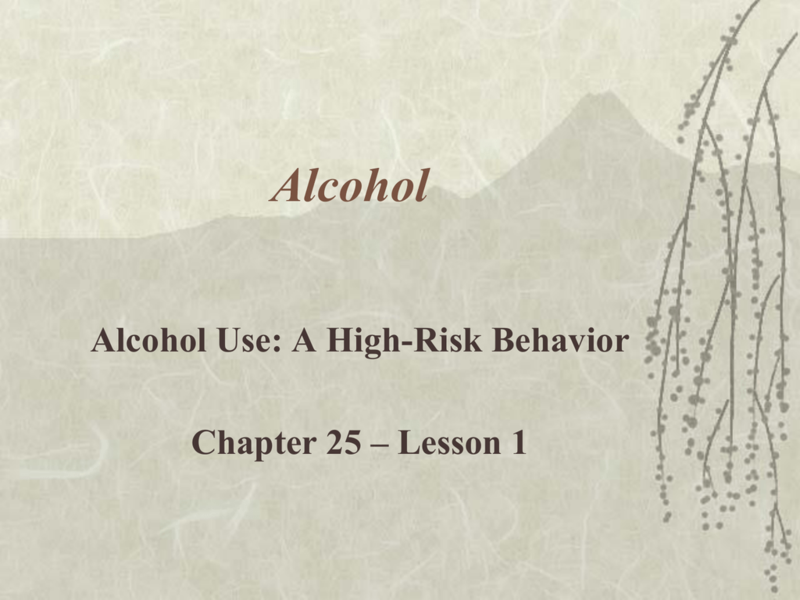  What can alcohol effect? these deaths happen in accidents. are between the ages of 14 and 17.  A party-like atmosphere with upbeat music. about the risks of using the product. people to sell their product. loved, and to feel important. to get people to buy alcohol products. think of that are affected by alcohol use. 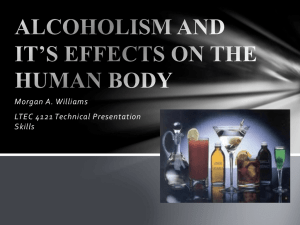 explain the effects of alcohol on the body. time, cause permanent and serious health problems. health of her fetus for life. taking a foolish, unnecessary, and sometimes deadly risk. body depend on several factors. absorption of alcohol in the body. in slowing down the absorption process? memory and concentration are dulled. Decision making can be badly effected. 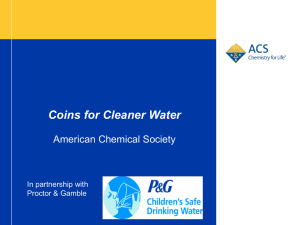 to water, carbon dioxide, and energy. There is no way to speed up this process. alcohol keeps circulating through all body parts. liver and cannot be broken down. the body, including the heart, liver, and brain. blood vessels to dilate, or widen. This makes the skin feel flush and warm. and an increase in blood pressure. muscle fibers of the heart. water soluble, it does not have to be digested. Food will not keep a person from getting drunk.  Reduces the ability to judge distances, speeds, and turns. 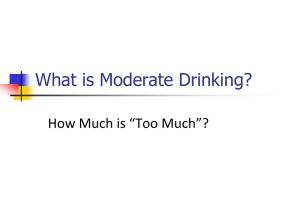 At .02 light to moderate drinkers begin to feel some effects. At .04 most people begin to feel relaxed. control; this is legally drunk in all states. slowly or a person has developed a tolerance to alcohol. At .30 many people lose consciousness. At .40 most people lose consciousness; some die. 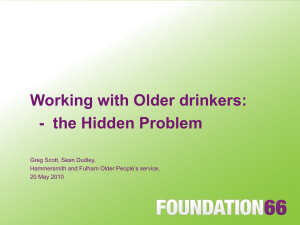 What are three short-term and three longterm effects of using alcohol? no longer considered to be comical. the alcoholic and on society. 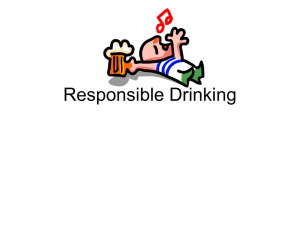  Not drinking is the only responsible choice. Some of these patterns can even be lifethreatening. most in the shortest time. drinks as males do on five,"
The result could be death. ethanol – is a disease. how much they will drink.  They cannot manage tension without drinking. with, what they did or what they said. Physical and mental problems evident. Drinker denies or tries to hide problem. Drinking becomes the central event in person's life. Frequent absences from work and school occur. Body is addicted to the drug. 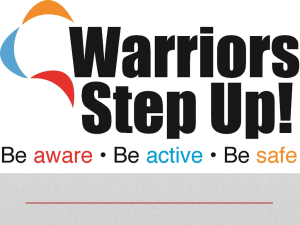 million nonfatal and 15,000 fatal injuries per year. 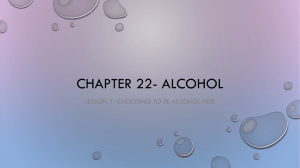 deciding to remain or become alcohol-free. to act in some way that I usually wouldn’t. other social situation where alcohol may be served. polite, confident, and to the point. comment can do the trick. Describe the three stages of alcoholism.